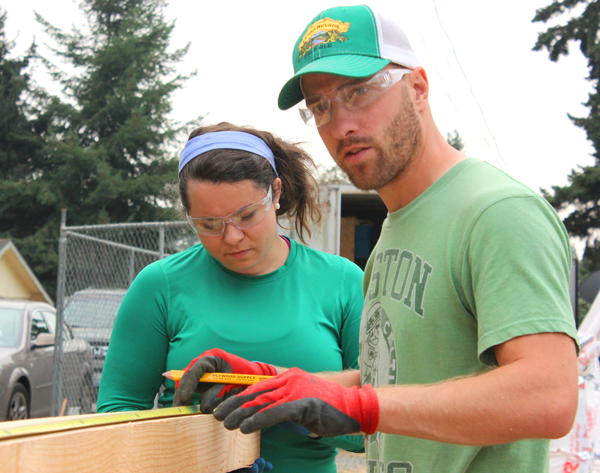 Now scheduling group build days at our Gold Bar Veterans Build! In 2018, Jordyn Wagner served as our Veterans Build Development AmeriCorps VISTA. 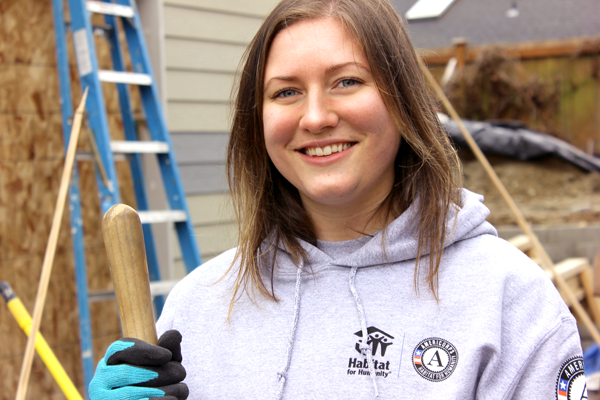 During her year of service at Habitat Snohomish, Jordyn developed a Veterans Build program. Some of the highlights from her term include recruiting veteran and active-duty volunteers, financial sponsors to support the program and other community partnerships that support our affiliate's mission and veteran focus. Jordyn also formed a Veterans Build committee to continue the management of the program she built. If you'd like to get involved with the program Jordyn started at Habitat, please contact Katie Rickel about joining the Veterans Build committee. Just before Christmas, several volunteers baked cookies to help us thank our big financial contributors. We also noticed some of the staff and volunteers sneaking treats when they thought no one was looking. 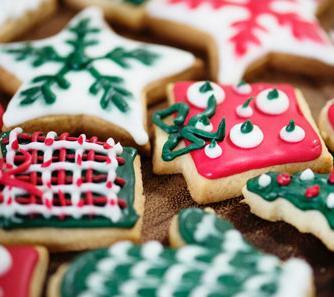 Thank you to everyone that so generously donated their time and baking talents! We are now scheduling build days for our Veterans Build in Gold Bar. Financial sponsors and veteran and military groups are receiving priority scheduling until January 18 th . ﻿If you’re interested in scheduling a group build day, please contact Katie Rickel . toward the construction of the first home at Twin Creeks Village. The Jimenez family moved into this home in June 2018. Doug Asmussen has served more than 5,000 hours at Habitat Snohomish since he began volunteering 5½ years ago. Doug volunteers five days per week; three days at the Everett Habitat Store and two days on our donations truck. When volunteering at the store, Doug prices about 800 small items per day on average. He fills a shopping cart with priced items and a volunteer places those items on the sales floor. By the time they are done placing those items, Doug has filled another cart full of priced items! 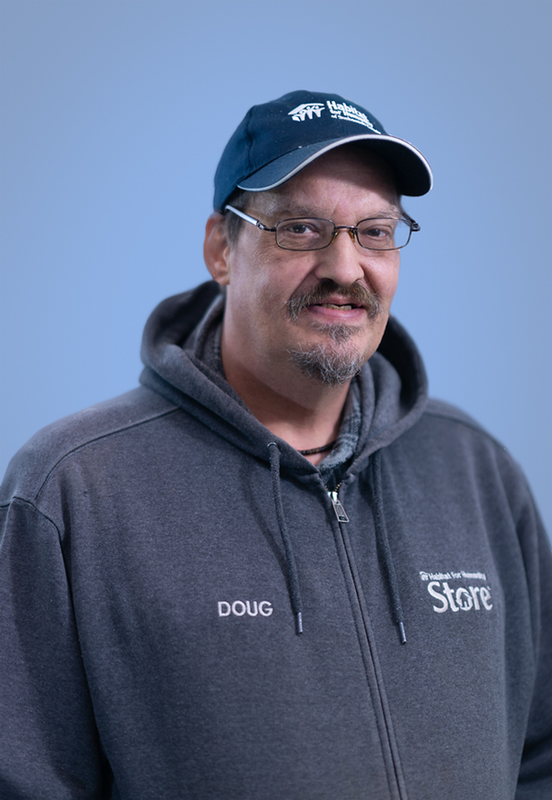 Thank you, Doug, for all that you do at Habitat! Lynnwood Habitat Office: Jan. 8th, 12 p.m. & Jan. 23rd, 4 p.m.
Everett Habitat Store: Jan. 15th and 29th at 4 p.m.